After my time in Botswana, we finished out our trip at three different camps in South Africa. All were places we had visited previously and liked so much we wanted to return to experience them again. Travelling from the Okavango Delta to the Durban area in South Africa is pretty much a full day event. We didn’t have time for a morning game drive, so we had an early breakfast and took a leisurely 1 1/2 hour drive to the airstrip that was being used by Machaba while the local strip was flooded. From camp we flew to Maun, onwards to Johannesburg and then finally into Durban, arriving around 9pm. Rather than take another flight, we had a driving transfer from Durban to Phinda, around a 2 1/2 hour drive, that left our hotel around 10 the next morning. Arriving at Vlei lodge, we were greeted like family with welcoming hugs from Kathryn, the camp manager (whom we had also met during our previous stay). We also had a chance to reconnect with the wonderful chef Happiness, who even asked us for our favourite items from the previous stay, so she could make sure they were on the menu during our visit. Unlike the lodges we visited later that were adjacent to Kruger, Phinda is a fully fenced reserve, and as such have taken the difficult decision to de-horn the rhino population in an effort to curb poaching. With horns or without, rhino are such impressive creatures to come across. It is just so sad that it has come to this in order to keep them safe. Like the properties in both Namibia and Botswana, Phinda had received an abundance of rain during the rainy season, after several years of rather severe drought. The abundance of food and water meant that general game were much more scattered, and often the game drives were quite for periods when we didn’t see any animals around. We did have one epic morning drive though filled with fun elephant encounters as well as several groups of rhino. Phinda is definitely a good place to go if you are interested in seeing cheetah. We saw 6 different cheetah during our stay, including a mom with 3 cubs. 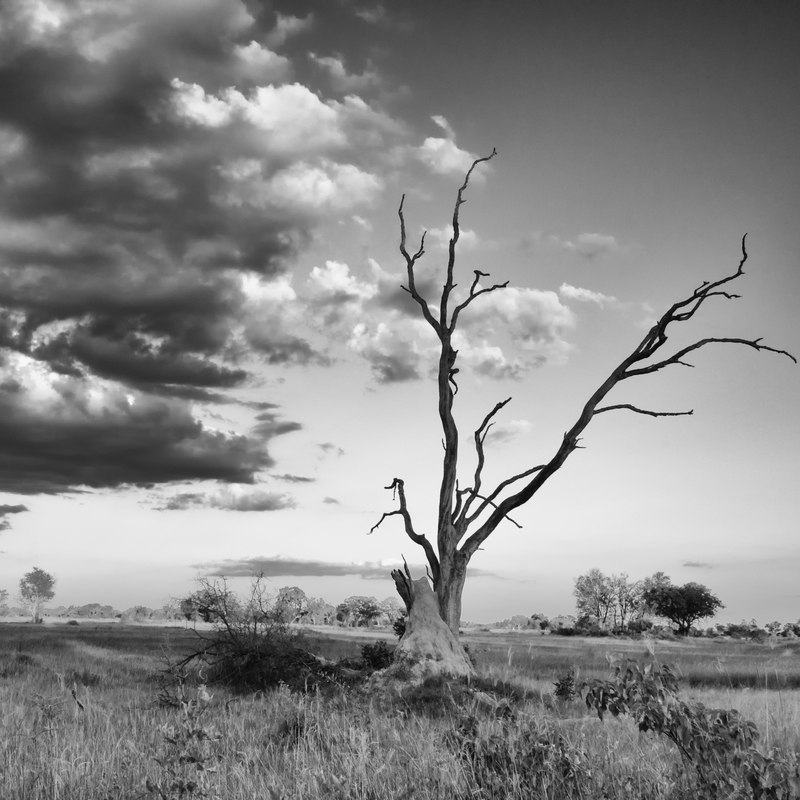 Here are a few of my images from my recent visit to Phinda. If you are interested, you can find some from my previous visit here and here. A nightjar spotted by our guide Dumi on the way back to camp one evening. This was the first time I had a chance to photograph one of these birds. As with anything, a bit more practice required! We spotted this herd of zebra, along with a large number of wildebeest on an afternoon game drive. It was a very blustery day, and the herd seemed quite on edge. This group of five de-horned white rhino just wasn’t interested in cooperating and facing the same way for a photograph. We spent time with a breeding herd at the water hole on a morning game drive. Close encounters of the elephant variety! This guy was on route to the water hole, and wasn’t about to let our driving on the road slow down his pace. We found these cheetah cubs and their mother later on the windy afternoon. They too were on edge and on high alert. Our first afternoon game drive, we came across three lionesses wandering down the road. Being investigated by one of the elephants at the watering hole. A yellow-throated long claw found on a foggy morning game drive. Drink in hand and a full moon rising. This was a lovely break on what was otherwise a rather quiet game drive, where we saw only a few small groups of general game like impala and zebra. www.jennifersawickyphotography.com for wildlife, landscape and nature inspired artwork. https://shopvida.com/collections/voices/jennifer-sawicky for textiles inspired by my photography.